Suite of websites for specialist publishing company. 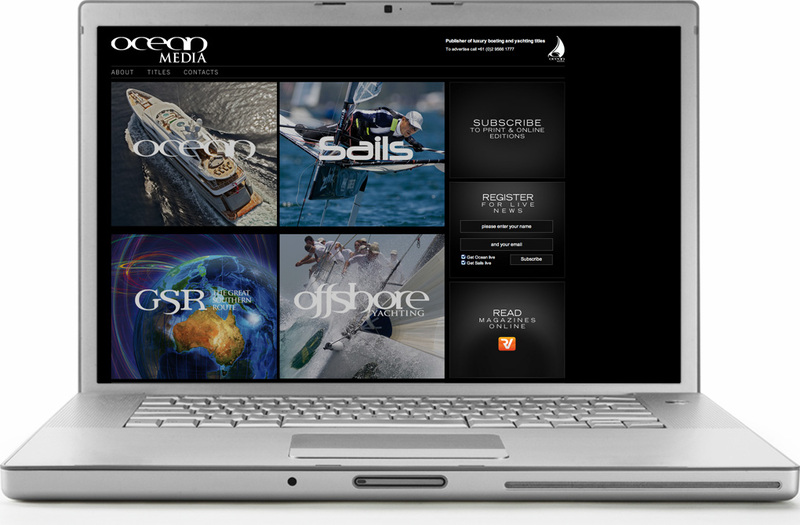 Ocean Media are specialist publishers of Australasia's luxury boating, lifestyle and yachting magazines. Delibrand worked with the management team to build their very first dedicated presence on the world wide web. We built 3 integrated sites for the parent company Ocean Media, including this corporate site. Ocean is the only specialised maritime journal dedicated to luxury motor and sailing yachts and the exclusive lifestyle surrounding them. With a selection of only the best racing and cruising content each issue, Sails presents a world of sailing sport and lifestyle in a single magazine.